Samsung Galaxy S users find themselves again in Luck because there is a new update Android 2.3.3 Gingerbread (XWJVH) for Samsung Galaxy S. Previously; A new version XWJVH Android 2.3.3 Gingerbread ROM is leaked for the Samsung Galaxy s i9000. This version is said to be more stable and smooth. Gingerbread was announced for the Android Devices of latest Version but luckily the Dev team On XDA-Developers is able to Update Samsung galaxy SI9000 to Gingerbread 2.3.3. Proceed at your own risk. I am not responsible if your device gets bricked or damaged during the process. But there are very minor chances of bricking your device by this method. · Before Proceeding make sure that you have the enough battery Power to flash a new Rom. 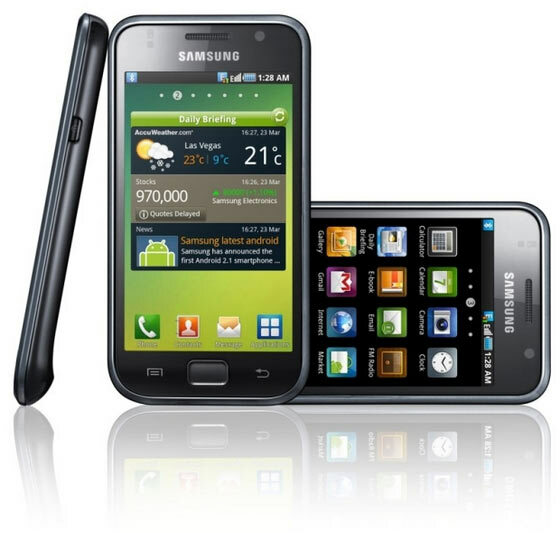 · Download all the Files which are required for flashing gingerbread on your Samsung Galaxy S I9000. · Put the phone into “Download mode”. To do it, press and hold “Volume Down” button, “Power” button, and “Home” key simultaneously for few seconds. It should boot into “Download Mode” in which you will see a yellow android character with a sweeper with “DON’T TURN OFF THE TARGET” message. · Now Connect the Phone with PC via USB Cable. · When ODIN will be Opened, A box will be turned to yellow. · Click ‘PDA’ button in ODIN, browse and select the ‘JVH_JV3_JPO.tar’ file that you earlier downloaded. · Click ‘PIT’ button, browse and select the PIT file that you downloaded. · Make sure ONLY ‘Auto Reboot’ and ‘F.Reset Time’ checked in options. · Now Click on Start and Sit back and Relax. · After successful flashing, you will see message “PASS” in green color in the ODIN interface. · Your Phone will be rebooted and you can disconnect the Samsung Galaxy from PC. · Congrats! You have successfully installed Android 2.3.3 Gingerbread XWJVH on your Samsung Galaxy S i9000.